Ooh, goal-setting time! I’m going to be honest: New Year’s is probably my favorite holiday of the whole year. I love that ritual of starting fresh, the feeling that you have a clean slate and can accomplish anything you set your mind to. Of course I have a whole separate list of goals and resolutions for the new year, but for this post I’ll focus specifically on my book-related goals. 1. Finish some of the series I’ve started. I think at last count I had about a dozen in progress (cringe). I really, really need to finish some of these before starting any new ones. 2. Read daily. I do try. But sometimes I watch TV instead, or I waste time on the internet, and other days I’m just busy with life. It’s not that those are bad things, per se, but I’d like to get in a habit of reading a book every single day, even if it’s just a few pages–it makes me happy when life is chaotic and stressful, and it’s much better than scrolling through Pinterest for an hour. 3. Read a few classics. I’ve ignored this genre lately, but I have a few on my shelf I’d like to tackle. 4. Read more nonfiction. I rarely read nonfiction. But I’d like to try reading at least one nonfiction title each month. 5. Start reviewing books on my YouTube channel. This is something I’ve thought about for a while, and I’m going to start doing it in 2015! I want to do short reviews, maybe two or three minutes tops, on some of the books I read each week. I might not film a video for every book I read, but I’d like to do several each month. 6. Work through my owned TBR shelf. I have a huge TBR shelf on Goodreads, obviously. But I’ve been accumulating books on the physical bookshelf in my living room all year, and I haven’t read any of them because I keep loading up on titles from the library. Which is fine…but a) I have some really good titles on there waiting to be read, and b) we’re running out of shelf space, which means it’s time for a cull. So once I’m done with my current library batch, I’m going to start digging through my owned pile. 7. Blog about books on a regular basis. I’ve even been neglecting my monthly roundups–for shame. It’s time to get back in the habit. 8. Be more active in the book blogging world. I have a few things I’m working on now, including my YouTube project. 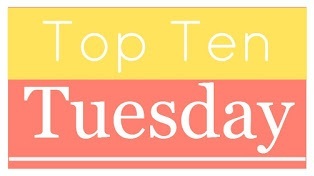 Connecting with other book bloggers gives me new titles for my TBR list and exposes me to books I might not otherwise hear about or be inclined to pick up. 9. Get my bookshelf organized. It’s a mess. 10. Read more, period. Books, magazines, blogs about books and magazines–I just need to read more, period! What are your bookish goals (or goals in general) for the new year? Share them with me in the comments! 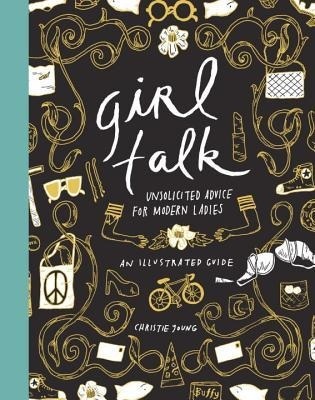 Girl Talk: Unsolicited Advice for Modern Ladies, by Christie Young. Hardcover, 176 pages. Two and a half stars out of five. The first thing that struck me about this book was that it was frenetically illustrated, giving it the appearance of a doodle-filled spiral notebook. This makes the book kind of cute, but it’s also a bit hard on the eyes. The second thing that struck me was that the author appeared to have been reading a lot of back issues of Glamour and Seventeen and was presenting a sort of mash-up anthology of tidbits of wisdom that might once have appeared in those magazines. The writing style is laid out not so much chapter by chapter, but in little blurbs, charts and sidebars much like you’d find in a magazine. Again: cute, but not always easy on the eyes (or easy to follow). The third thing that struck me: this book felt wildly unfocused. I felt like the author’s point of view was strangely out of sync with the target audience: a lot of the references would only make sense to someone in their late twenties or early thirties, but the tone of the book makes it feel like it’s aimed at eighteen-year-old girls getting out into the world for the first time. The blurb led me to assume that there would be decently sized chunks of advice, delivered in a witty fashion, yet most of what’s inside is delivered in Twitter-style blurbs and is so “lite” that it doesn’t provide a great deal of insight. A lot of it also felt recycled and not terribly pertinent to a twenty-something–there was nothing here I didn’t already know. “Running out of booze during the holidays”–was this mentioned? “Looking calm in a bar alone (without the help an iPhone)”–I actually do appreciate the author touching on the subject of going into a cafe or restaurant alone, since this seems nerve-wracking. Now, here’s where I tell you that I’m not knocking this book altogether: I think this book might be great as a gift for a younger sister just leaving home, who had little to no clue about living on her own. It’s true that the book isn’t full of in-depth advice for sticky situations, but I can’t actually say I disagreed with any of the pointers given, and there are actually some useful tidbits for a girl just getting out on her own: how to clean an apartment in fifteen minutes before guests arrive; how to handle a breakup; a few quickie/cheapie recipes that aren’t ramen noodles; etc. I’m actually planning on setting this aside for one such young lady who will be eighteen in a couple of years and is planning on moving out to California as soon as her birthday hits; while the advice in the book might be old news to me, I think it’ll actually be helpful to her, and the short-‘n-sweet format will make it palatable for someone who isn’t big on reading. It doesn’t hit the mark, then, for most twenty- or thirty-something readers who want a funny look at tackling life’s more perplexing social situations, but underneath it all there is a solid baseline of good advice that might appeal to girls in their late teens who are experiencing adulthood anew. Better yet: pair it up with a gift subscription to a mag like Glamour (my personal fave), which gives much more in-depth advice and has some fun fashion and beauty tidbits plus a little news reporting, too. That’s a better dose of girl talk, in my opinion, and it isn’t covered in those headache-inducing cartoons, either. Christmas might be over, but I’ve got one holiday giveaway left for the month. :) I love reading–obviously, given my blog title–so I couldn’t resist picking up this cute journal as a giveaway prize. 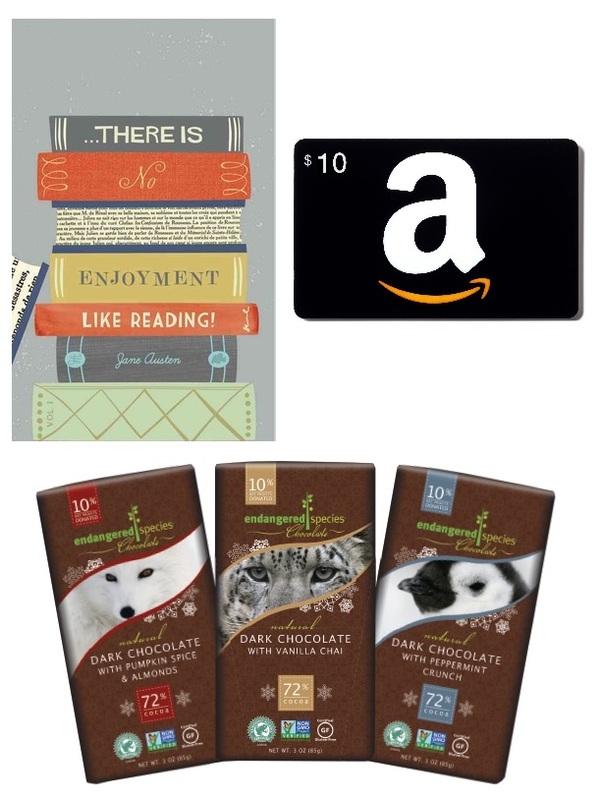 The winner will also get a $10 Amazon gift card to pick up a new book for the new year, and a trio of vegan holiday chocolate bars to enjoy while they read! The giveaway is open internationally for one week; just enter using the Rafflecopter widget below. Good luck, and happy holidays to all of you! Thanks so much for reading my blog!